Stainless steel case. 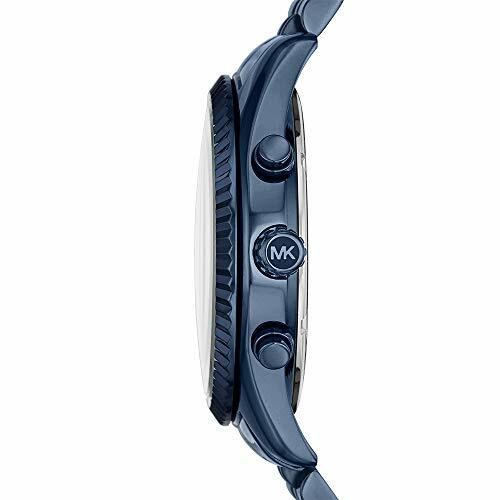 Stainless steel bracelet with fold-over, double push-button release. Round face. Three-hand analog display with quartz movement. 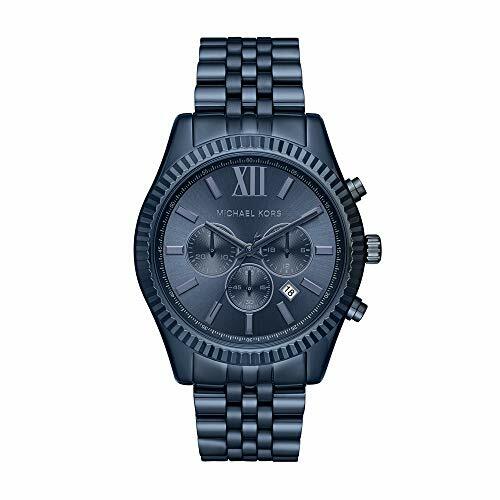 Dial features blue-tone hands and hour markers, 3 subdials, minute track, and Michael Kors detailing. Water resistant 5 ATM. Display case included.